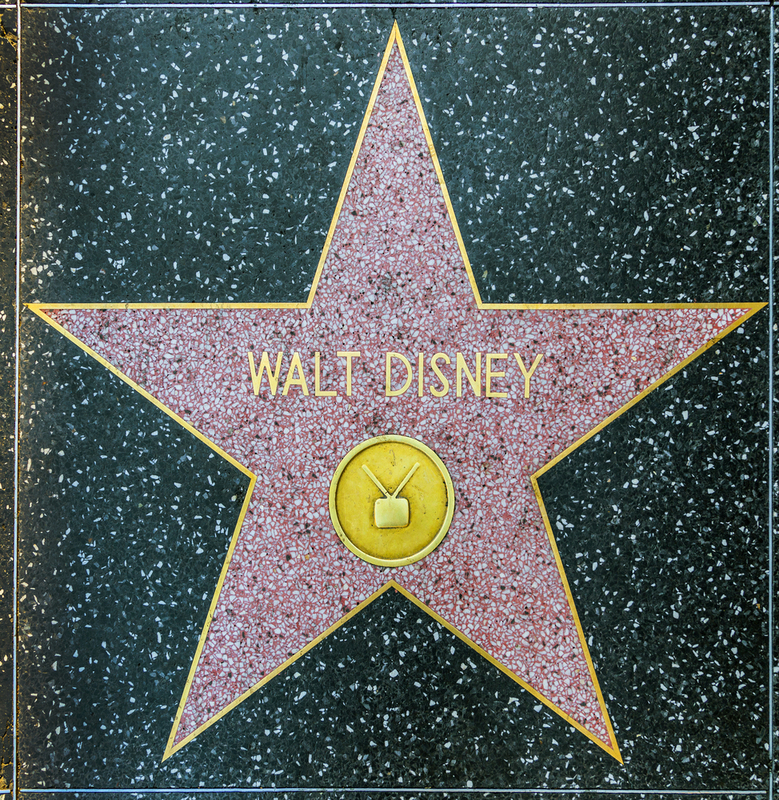 Walt Disney epitomized the American dream like few others. Sure, he wasn’t perfect. He was a ruthless businessman, long rumored to be anti-semitic and otherwise racist, and was a ringleader for Hollywood’s anti-communist witch hunt in the 40s. But he rose up from humble beginnings; his childhood was anything but stable as his family moved throughout the midwest as his father pursued work. His string of early failures made it seem like success would never come. As the Disney company took off, he never sat on his laurels, always pursuing another way to extend the Walt Disney brand. If entertainment is America’s greatest export to the world, Walt Disney was the most famous supplier of this commodity. Quite simply, there is no denying the impact Disney had on the world and he has to be ranked as one of the greatest Americans of the 20th century, in terms of world influence, at least. Without further ado, here are ten facts you probably didn’t know about Walt Disney and the Walt Disney Company. 1) Oswald the Rabbit, Disney’s first successful cartoon, was traded for sportscaster Al Michaels in 2006. In 1927, Walt Disney was struggling. But then he hit it big with a character named Oswald the Rabbit. He sold the rights of the character to Universal and it became Disney’s biggest success at that time, rivaling contemporary cartoons Krazy Kat and Felix the Cat. In 1928, Disney went to negotiate a better contract for the rabbit and his animators, but Universal had other plans. They wanted Disney to take a twenty percent cut. Negotiations fell through and Oswald the Rabbit, since his rights were actually owned by Universal, became property of Universal. Fast-forward 79 years: NBC (owned by Universal) had just acquired the rights to broadcast the huge property of Sunday Night Football and they needed someone to call the games. They looked to hire Al Michaels, who was under contract at ESPN (owned by ABC, which was owned by Disney) . So Disney and Universal made a deal. Universal would get Al Michaels and Disney would receive the nearly 80 year old cartoon, Oswald the Rabbit. 2) Contrary to popular myth, Walt Disney WAS NOT cryogenically frozen when he died. An urban legend states that upon his passing, Walt Disney’s frozen corpse was stashed underneath the Pirates of the Caribbean ride at Disneyland. This is simply not true. Walt Disney passed away on December 15th, 1966. Two days later, and consistent with his wishes, he was cremated. A burial plot with a garden, presumably containing his ashes, with his name on it is at the Forest Lawn Memorial Park in Glendale, California. While riding back on a train from an unsuccessful business meeting (rarely an uncommon occurrence at that time for Walt) with his wife Lily in 1928, he began sketching a cartoon mouse. He called the sketch “Mortimer Mouse.” He showed it to Lily, who said the name Mortimer was too pompous and suggested the cuter name of Mickey. Mickey Mouse would become Walt Disney’s defining character. Mortimer Mouse actually would make appearances in later Disney cartoons, first in the the 1936 cartoon “Mickey’s Rival,” where he plays Mickey’s rival for Minnie. He’s rude, selfish, and sexist. In other words, the exact opposite of Mickey. He also looked more like a rat than a mouse, with his longer snout, whiskers, and two protruding front teeth. Oddly, he talked in a Brooklyn accent. He would appear again in “Mickey’s Rival Returns,” 64 years later in 2000. 4) Neither Mickey Mouse nor the famed “Walt Disney” signature were actually ever drawn by Walt Disney himself. While Walt did sketch the original plans for the Mickey Mouse’s character, the final design for Mickey we’ve all come to know and love was actually done by the famed Disney animator and Dutchman Ub Iwerks. In addition, the famed signature is what is known as a “stylized version” of Disney’s. As can be seen on legal documents, Disney’s own signature was not nearly as exciting or intricate. 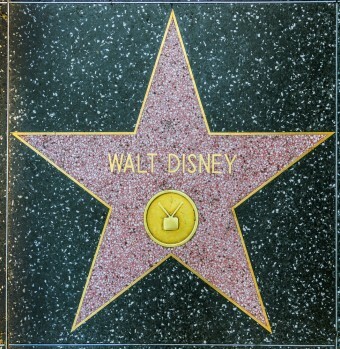 In fact, rumor had it that Walt couldn’t even reproduce the famed signature. As Walt Disney laid on his deathbed, suffering from lung cancer, in 1966, the story goes (later confirmed by Kurt Russell) that he scribbled on a piece of paper the name “Kurt Russell.” He died never writing another word. Many have speculated what this could have meant, including the famous actor himself, Kurt Russell who in a 2007 appearance on Jimmy Kimmel Live said, “It’s true. I don’t know what to make of that. I was taken into his office one time after he died and I was shown that.” Russell was a child actor at the time for Disney, having just signed a ten year contract with the studio. A reimagining of the Snow White and the Seven Dwarfs had been something Walt had wanted to do since he was a 15 year old newsboy in Kansas City and he saw a silent film version of the fairy tale starring Marguerite Clark. There were many factors that went into the popular prediction that this film would be a failure. This was the Walt Disney Company’s first feature-length film, not to mention the first full length animated film ever in color. The film’s working budget went over $2 million ($32M today), which was nearly 400% over the original budget. In addition, images of the Wicked Witch and the Enchanted Forest were thought to be too frightening for younger audiences. On December 21, 1937, Snow White and the Seven Dwarfs, premiered at the Carthay Theater in Los Angeles. It went on to gross (adjusted for inflation based on the Guiness World Records numbers) about $1.6 billion. “Disney’s Folly” indeed. 7) Walt Disney was a founding member of the “Motion Picture Alliance for the Preservation of American Ideals,” created to defend the film industry against communist infiltration. In 1944, the MPA was formed to protect Hollywood from “communist” influences. Besides Disney, John Wayne, Cecil B. DeMille, Ginger Rogers, Gary Cooper, and Ronald Reagan were involved in this organization. In 1947, Disney testified in front of HUAC (House UnAmerican Activities Committee, which has to be one of the most ironically named committees in U.S. history) that former animators of his were actually Communist sympathizers. In addition, Disney was anti-union and claimed the 1941 strike by the Screen Cartoonists Guild was a ploy by Communists to gain influence in Hollywood. 8) In 1938, Walt Disney hosted Nazi propagandist and filmmaker Leni Riefenstahl at his studio and gave her a tour. In 1938, only a month after Kristallnacht, the beginning of the Nazi campaign to round up all the Jews, Leni Riefenstahl arrived in the United States. She was there to meet with studio executives and gain an American audience for her film on the 1936 Berlin Games, Olympia. The film showcased German athletes in varying stages of preparation and achievement. It was meant to perpetuate the Aryan agenda- that German athletes were fitter and more inclined to athletic success than the rest of the world’s athletes. Despite the hesitation of other studio executives, Walt Disney took her in and gave her a tour of Disney Studios. In exchange, she offered him a private showing of Olympia. Disney refused due to the fear that others would find out that he had hosted her. When Leni arrived back to Germany, she praised Disney to her government for giving her an audience. The 1964 World’s Fair, located in Flushing Meadows, New York, introduced many types of pre-Space Age technology, including such things as IBM computers. But few of these things received as much attention as Disney’s Audio-Animatronics- moving robots that had words – or had pre-recorded audio – coming out of their mouths. 10) Walt’s apartment, where he often worked, is still above the firehouse on Main Street in Disneyland. A small, but fully-functional, one-bedroom that Walt used often as a work space and a place to watch his dream come to life still exists above the firehouse on Main Street in Disneyland. Walt loved the little apartment because it allowed him to watch the people enjoy his park. There were no pictures of him or his family in there, save for one picture from the National Geographic. To this day, the apartment is still there even with the same papers he was last working on lying on his desk- everything left mostly as it was as a sort of shrine, though some of the original furniture has been replaced. Walt’s apartment w/ his son-in-law, daughters and wife Lillian. Leni Riefenstahl was not a propagandist. All of her films were ART.